We were inclined toward “prepping” long before we knew there was a term for it. I have always liked having a well-stocked pantry, a first aid kit in my car, and extra diapers and a change of clothes for my children no matter where I go. When our awareness of the need to prepare for longer term events and for harsher times became evident to us, I felt a little bewildered about where to start. What should be our first priority? Do we work on one area until we can check it off or multiple areas simultaneously? When I started doing my research and compiling lists of things we may need and skills we should acquire, I was nearly dizzy with trying to sort through it all. 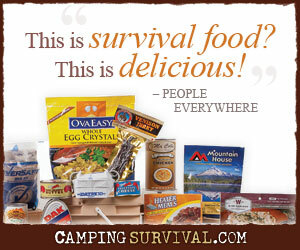 Of course, there will be some individual differences, but most preppers would probably put food at the top of the list. You need it several times a day and it keeps going up in price. So no matter what, you are doing yourself a favor by stocking up now. Okay, so food is critical- what do I buy? There are year-supplies of freeze-dried foods for thousands of dollars available online. That seems mighty pricey to buy in one chunk and what if we don’t like it? Not to knock bulk freeze-dried food- it has its place- but that’s not where we decided to start. It made the most sense to us to begin by deepening the larder of what we already like to eat, though we are gradually shifting some of our menus to include more storage-friendly staples (like rice, beans, and whole grains) and we are largely improving our diets as we do so. We feel it would be a source of further stress to have to learn to prepare and eat unfamiliar things at a time when there may be enough other uncomfortable changes in our lives already to adjust to. We focused first on what we already know and enjoy that has a long shelf-life. Canned fruit and veggies, chicken and fish, peanut butter and jelly, pasta and sauces, and so on topped our list. Next, we started working on bulk items like wheat berries, rice, and beans. I wanted to make sure we wouldn’t have much opportunity to tire of those staples, so next on my list were bulk spices. I didn’t want to overlook the treats that may be much needed, so cake mixes and like things were added- we will want to celebrate birthdays whether other things are normal or not, maybe even more so. Once we achieved a basic level of those things, I began to expand into other areas and learn how to cook with them- powdered milk for instance. I now use it for all my baking. It’s more cost effective and I don’t use up all the drinking milk making pancakes. There are so many benefits to having a supermarket at home. I never have to run to the grocery store at the last minute for a forgotten ingredient. I can change my mind about what to cook for supper at the last minute because lots of things are on hand. Maybe most importantly, I can be generous to others in need.